Our tax experts have the knowledge, experience and expertise to put you in the best position within a complicated tax environment. We're up to speed on the latest tax reform (TCJA) changes, and can identify the deductions and credits you deserve. From simple to complex tax situations, we’ve got you covered. We're well-versed in the tax reform (Tax Cuts & Jobs Act) changes to help your business maximize deductions, and take advantage of the new 20% Qualified Business Income (QBI) deduction. We'll partner with you on a tax plan to help you minimize your tax liability so that your business can retain more profit and grow. 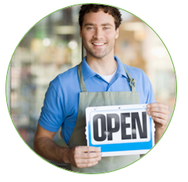 From individual returns to business taxes, we can help you. 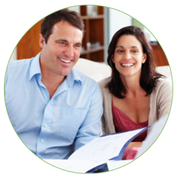 We invite you to contact us to learn how we can simplify your taxes.